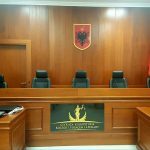 – First public hearing took place on Wednesday, 16,05,2018, 10.00 a.m., at the premises of ‘Pallati i Kongreseve, Bulevardi Dëshmorët e Kombit Nr.6, Tirana’. –The sequent public hearing was held on June 6, 2018. The public hearing for the adjudication of case no.2/2018 JR, dated 17.04.2018 was opened on Monday, 16.07.2018, at 09.00 hrs. The decision for the case no.2/2018 JR, dated 17.04.2018, was announced on Monday, 10.09.2018. The Appeal Chamber has received on 12.06.2018 document No.9/4 prot. of the Public Commissioners, with subject: “Renunciation from the appeal against IQC Decision No.4, dated 23.03.2018, related to the assessee Mr. Sulejman Tola.”. The decision was made in chambers on 10.07.2018, at 11.00 hrs. Subject: Appeal against IQC decision no.12, dated 23.03.2018, related to the assessee Mr. Fatos Lulo. The decision was made on 17.07.2018, in counseling chamber. Initiated by: Assessee Mr. Besim Trezhnjeva. Members: Mr. Ardian Hajdari, Ms. Natasha Mulaj, Ms. Rezarta Schuetz. The decision on case no. 6/2018 (JR), dated 21.06.2018 was made in counselling chambers on Wednesday, 12.09.2018. The decision of case (JR) no. 8/2018, dated 12.07.2018, was made in camera on Wednesday, 24.10.2018. Subject: Appeal against IQC Decision no. 22, dated 07.06.2018, related to the assessee Mr. Edmond Islamaj. Hearings held regarding case (JR) no.09/2018, dated 19.07.2018: Monday, 12.11.2018, at 10:00 h; Friday, 16.11.2018, at 09:30 h; Tuesday, 11.12.2018, at 11:30 h; Monday, 17.12.2018, at 12:00 h; Thursday, 20.12.2018, at 09:30 h; Tuesday, 15.01.2019, at 12.00 h; Tuesday, 22.01.2019, at 12:00 h; Tuesday, 29.01.2019, at 12:00 h; Tuesday, 12.02.2019, at 09:00 h; Tuesday, 05.03.2019, at 12:00 h; Tuesday, 26.03.2019, at 11:00 h; Wednesday, 17.04.2019, at 10.00 h. The next hearing shall be held on Thursday, 02.05.2019, at 10:00 h.
Subject: Appeal against IQC Decision no. 24, dated 13.06.2018, related to the assessee Mr. Bashkim Dedja. The public hearing of case (JR) no.10/2018, dated 31.07.2018, was held on Wednesday, 12.12.2018, at 10:00 hrs. The Appeal Chamber had scheduled to announce the decision on 13.12.2018. Due to the case complexity, the adjudication panel decided to adjourn it, and the decision was announced on 17.12.2018, at 10:00 hrs. Subject: Overruling IQC Decision no. 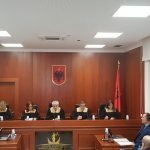 33, dated 05.07.2018, related to the prosecutor of Tirana Appeal Prosecution office, Mr. Luan Kaloçi, and his confirmation in office. Subject: Modifying IQC Decision no. 25, dated 20.06.2018, and confirmation in office of the assessee Gentian Trenova. Decision on case (JR) no. 12/2018, dated 04.09.2018, was made in camera on Monday, 19.11.2018, at 10.00 hrs. Subject: Amendment or upholding decision no. 32 dated 05.07.2018 of the Independent Qualification Commission related the assessee Ms. Alma Brati. Hearings held with regard to case (JR) no.13/2018, dated 07.09.2018: Thursday, 13.12.2018, at 10:00 h; Tuesday, 18.12.2018, at 14:00 h; Tuesday, 05.02.2019, at 10:00 h; Monday, 11.03.2019, at 10:00h; Monday, 25.03.2019, at 10:00 h; Friday 12.04.2019, at 10:00 h. The next hearing shall be held on 26.04.2019, at 10:00 h.
Hearing held related to case (JR) no.14/2018: Thursday, 07.03.2019, at 10:00 h; Wednesday, 20.03.2019, at 10:00 h; Thursday, 21.03.2019, at 09:30 h. The final decision was announced on Thursday, 18.04.2019, at 09.00 h.
Sessions held for case (JR) no.15/2018, dated 11.09.2018: on Wednesday, 09.01.2019, at 10:00 hrs, the session was held in camera. The first public hearing was held on 23.01.2019, at 10.00 hrs. The next public hearing was held on 28.01.2019, at 11.00 hrs. The final decision was announced on 31.01.2019, at 12.00 hrs. The decision on case (JR) no. 16/2018, dated 12.09.2018, was made in camera on Thursday, 22.11.2018. Hearings held regarding case (JR) no.17/2018, dated 13.09.2018: Wednesday, 13.02.2019; Tuesday, 19.02.2019; The next hearing was held on Monday, 25.02.2019, at 12.30 h.
The final decision was announced on Thursday, February 28, at 12.00 h.
Subject: Overruling IQC Decision no. 52, dated 30.07.2018, as corrected by IQC, and, after carrying out a regular assessment process of the three components, the AC decides “the confirmation in office of the judge of the Supreme Court”. Decision on case (JR) no. 19/2018, dated 11.10.2018, was made in camera on Thursday, 07.02.2019. Object: 1) Appeal against IQC decision no. 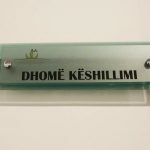 48 dated 25.07.2018, on the imposition of the disciplinary measure of: “dismissal from office of the Prosecutor of the General Prosecution Office issued against the assessee Ms. Rovena Gashi”. 2) Overruling by the Appeal Chamber of IQC decision no. 48 dated 25.07.2018 and review on merits of facts and evidences of the assessee Ms. Rovena Gashi. 3) Confirmation of the assessee Ms. Rovena Gashi in office of the Prosecutor of the General Prosecution Office of the Republic of Albania. Case (JR) no. 20/2018, dated 17.10.2018 was reviewed in camera on Monday, 18.03.2019, at 09:30 h. The adjudication panel decided to transfer the review of this case in a public hearing with the participation of the parties, held on Thursday, 04.04.2019, at 10:00 h. The second hearing was held on 23.04.2019, at 10:00 h. The next hearing shall be held on 06.05.2019, at 10:00 h.
Object: Appeal against IQC decision no. 41 dated 18.07.2018, related to the transitional re-evaluation of the assessee Mr. Artan Zeneli, judge of the Supreme Court, and modification/overuling this decision, deciding the confirmation in office of the assessee Mr. Artan Zeneli. Decision on case (JR) no. 21/2018, dated 18.10.2018, was made in camera on Monday, 04.02.2019. Object: Appeal against IQC decision no. 40, dated 17.07.2018. Case (JR) No. 22/2018 dated 19.10.2018 was reviewed in camera on Thursday, 18.04.2019, at 11.00 h, at the premises of the Appeal Chamber, at: Bulevardi “Dëshmorët e Kombit”, nr.3. Tirana. The decision was made on 18.04.2019. Object: Transfer the case in public hearing with the presence of parties, and following adjudication on merits, modification of IQC decision no. 51, dated 30.07.2018, deciding confirmation in office. Object: Modification of IQC decision no. 50, dated 27.07.2018 against the assessee, Prosecutor Elsion Sadiku, and confirmation in office. The Appeal Chamber reviewed in camera case (JR) no. 26/2018, dated 25.10.2018 On Tuesday, 19.03.2019, at 10:00 h. Due to objective reasons the review was adjourned on Wednesday, 03.04.2019, at 10:30 h. Due to the commitments of the International Observer the session was adjourned on 04.04.2019, at 10:00 h. The session initiated on 04.04.2019, at 14:00 h, it was interrupted at 19:30 h, and it resumed on 05.04.2019, at 09:30 h. The decision was made on 05.04.2019. Object: Transfer the case in public hearing, decide the dismissal of IQC conclusions by way of modification of IQC decision no. 53, dated 31.07.2018, deciding confirmation in office. Case (JR) No. 28/2018 dated 05.11.2018 was reviewed in camera on 16.04.2019, at 10.00 h. The decision was made on 16.04.2019. Object: Transfer in a public hearing of administrative case, IQC decision no. 55, dated 31.07.2018, related to the assessee Dritan Rreshka. Modification of IQC decision no. 55 date 31.07.2018 and confirmation in office of the assessee Mr. Dritan Rreshka, prosecutor at Tirana Judicial District Prosecution office. Object: Absolute invalidity and / or repeal of administrative decision no. 67, dated 05.10.2018 of the Independent Qualification Commission, through the admission of the appeal, by rebutting the administrative act in either one of the forms of invalidation / abrogation / modification / overruling / cancelation of the administrative act and deciding confirmation in office. 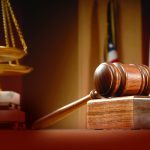 Object: Modification of the appealable IQC decision no. 68 dated 08,10,2018 and confirmation in office of the assessee Mr. Sotiraq Lubonja. Object: IQC Decision no. 69, dated 10.10.2018 is openly contrary to the law and evidences of the case file of the assessee, in terms of assessee bias, and as such, it should be modified, pursuant to Article 66, paragraph 1/b, of Law no. 84/2016, assessing that the assessee Entela Prifti has achieved a trustable level of asset assessment. With regard to the assessment of the two other criteria, given that DSIK and HCJ reports are administered by the IQC and the respective evidences are part of the case file, there is no impediment that the Appeal Chamber carries out the assessment of these two criteria by opening the administrative investigation and at its termination decides the confirmation in office of the assessee Entela Prifti. The review of the case in public hearing with the presence of the parties to enable the hearing and establishment of a complete conviction as set out in the appeal. Overruling IQC decision and confirmation in office of the prosecutor, pursuant to the grounds, evidences and arguments set forth in this appeal. 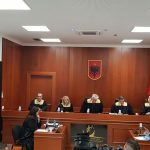 Confirmation in office of the assessee, Mr. Qato, judge at Tirana Court of Appeal.